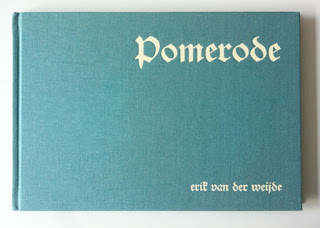 16,5×24 cm, hardcover, 64 pp. "All’ombra di un pino" is a long-term project about the Tuscan Maremma, its territory and communities living at the borders of this land. A journey that starts from the coast of the Maremma Natural Park and arrives to Nomadelfia, a Catholic community nearby Grosseto, passing through the pine forests of Principina a Mare and Marina di Grosseto; Castiglione della Pescaia and the ancient flooded areas along the river Ombrone. 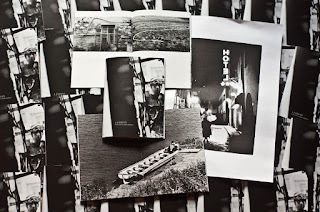 This is a project of documentary photography with a strong personal poetics: here are photographed the places of Stefano Vigni's childhood and his happiest memories, but also treated topics and relevant social realities, in order to achieve an anthropological portrait. 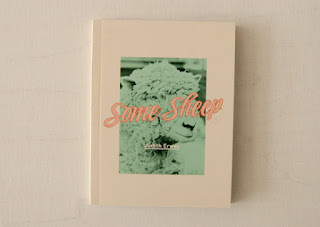 "Some Sheep is a fun little coffee table (or bathroom/kitchen table) book including a collection of portraits of sheep which are showing off different hair’n’fur styles, 36 pages in full ‘pop art’ colour." "Vote No. 1 documents electoral campaign advertising in Ireland. 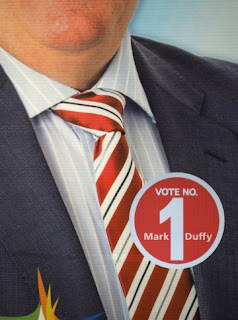 The series focuses on the accidental, and often gruesome, disfigurements the electoral candidates‘ faces suffer. " 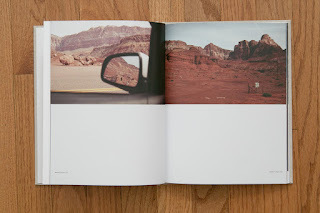 "Lone Star documents a road trip I took with my dog from Los Angeles to New Orleans and back. 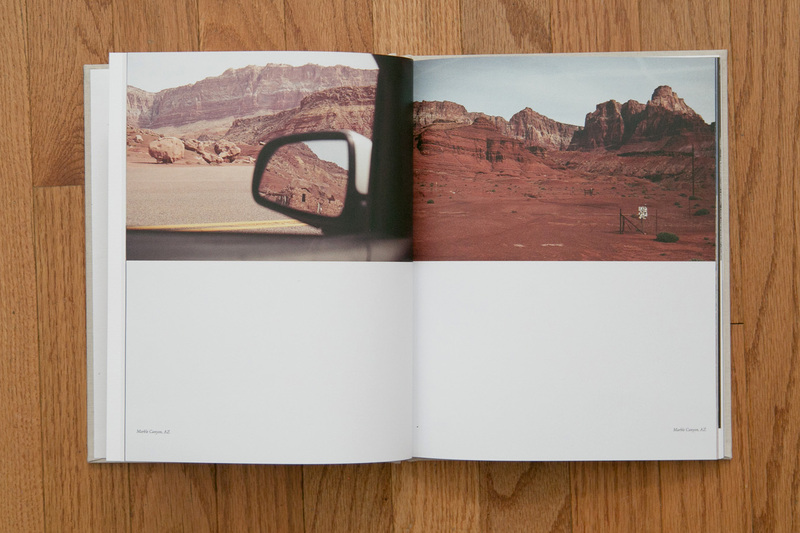 The book chronicles the vast & empty stretches of the Great American South. The title is an homage to the south as well as an allegory for myself — as the lonely star traveling to find a bit of my soul. With a mixture of landscape, environment, self-portraits, and scanned diary entries, the book is an intimate vignette of myself and the lessons I learned along the road." "So let’s celebrate this first, fine collection of 21st- century photographers’ portraits, in which David Kregenow both perpetuates the genre and sets it on course for the future. 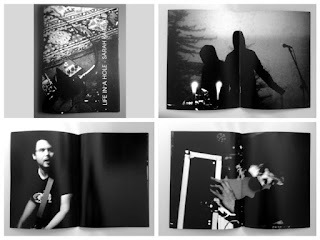 Three of his subjects - d’Agata, Corbijn and Olaf - are photographers with whom I have had close working relationships. With some of the others I have enjoyed convivial social occasions, and I can tell you that these portraits are empathetic, unadorned and true to life." 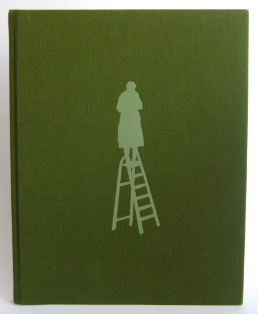 "This book is the seventh in a series of 10 books about a French village. After the evocation of vegetation in volume #1, water in volume #2, public places and equipment in volume #3, typology of networks in volume #4, fences and boundaries in volume #5, housing and residential estates in volume #6, volume #7 is dedicated to signs and typography with a text by Fred Maillard, painter, illustrator and graphic designer." 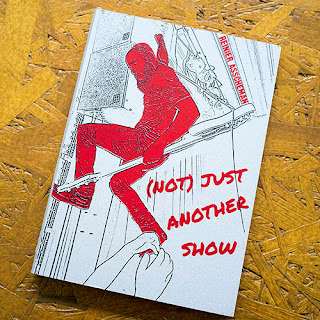 Including work by: Marianne Bjørnmyr, Richard Higginbottom, Alex Catt, Sam A Harris, Richard Mulhearn, Sophie Davidson, Christopher Coyle, Sean Gardiner, Layla Sailor, Adrian Davies, Oliver Udy & Sarah Eyre. Published by Tide Press, Manchester. 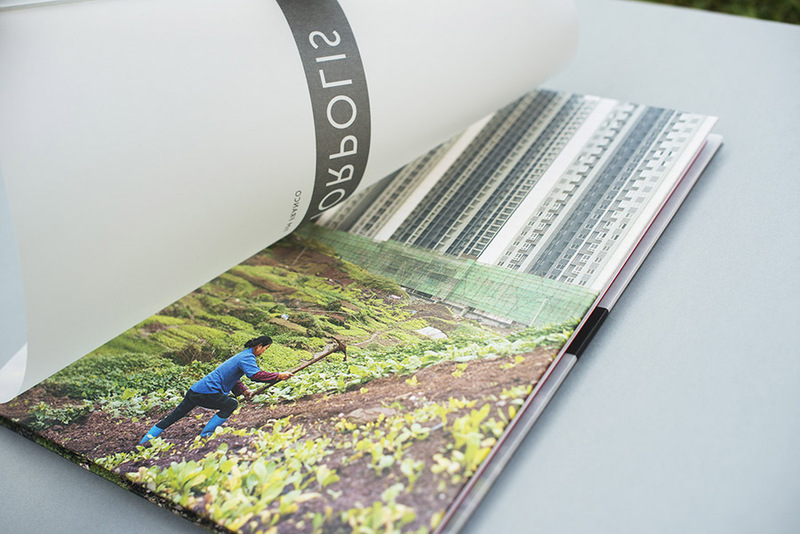 Hand sewn binding with Risograph printed cover. "Ante Meridiem consists of individual and multifaceted responses to the onset of day. 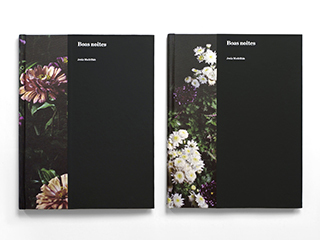 It features images by 12 photographers presenting their own version of the morning, captured in various locations around the world." "Imitation of Lives is a collection of 20 constructed images created as a homage to wedding photographs from the late seventies and early eighties. Each image is an entirely staged interpretation of events. The photographs focus heavily on individual characters and carefully arranged visual adornment that enforces the illusion of reality." "Jo, Riek, Toos and Nellie, the four sisters of Marlies Swinkels' grandpa, have always lived together in the same house where they were born. Little has changed. 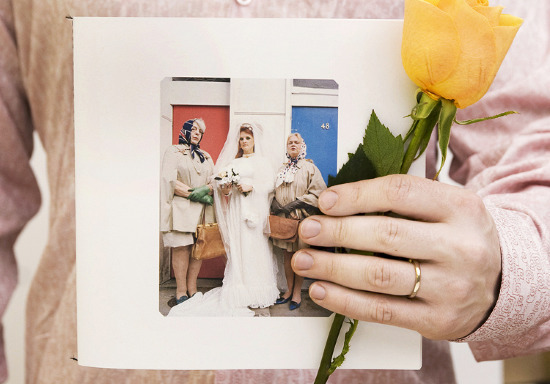 Her whole life, Swinkels has been visiting them, and over the past ten years she has photographed her four 'grannies' with different cameras. Living together as sisters lovingly in a daily pattern each with its own task. Being happy with simple things." 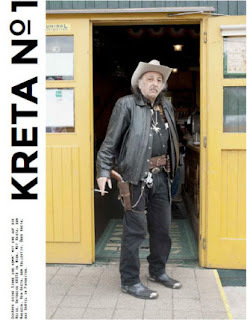 "Kreta" is a very multicultural area, located in destrict Favoriten Vienna around the old bread factory called "Brotfabrik Wien". 13 photographers of the AnzenbergerMasterclass have photographed the people and life during the 10 month program, and even started a collective named "Kreta Kollektiv". 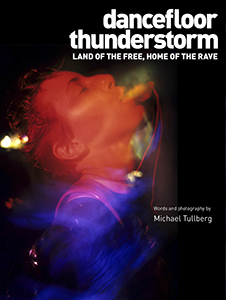 "Dancefloor Thunderstorm" is the first photo book of its kind in the United States, and the only one that chronicles the rise of the underground dance movement that would become the massively successful genre we today call EDM." 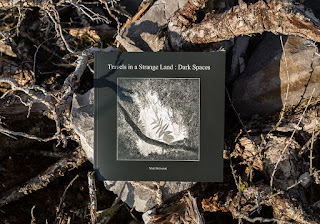 "While some people may think that most of their local landscapes have been discovered and photographed ad-nauseam, I have sought out the landscapes of my imagination and discovered a new fantasy world. However, these are not Photoshop creations but real places. Illuminating the dark spaces beneath rocks and trees by viewing them in negative I have unearthed a landscape previously unknown to me." 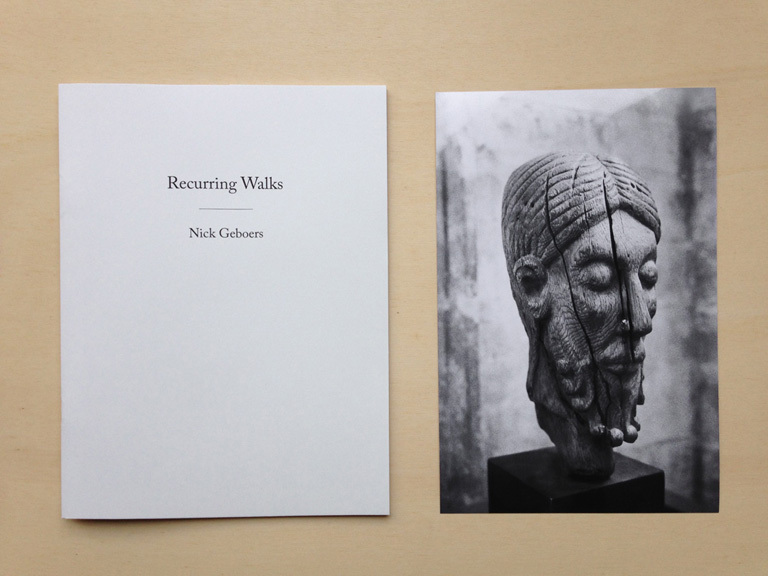 "Recurring Walks brings together two different time frames, namely the present and the Romantic period at the turn of the nineteenth century. 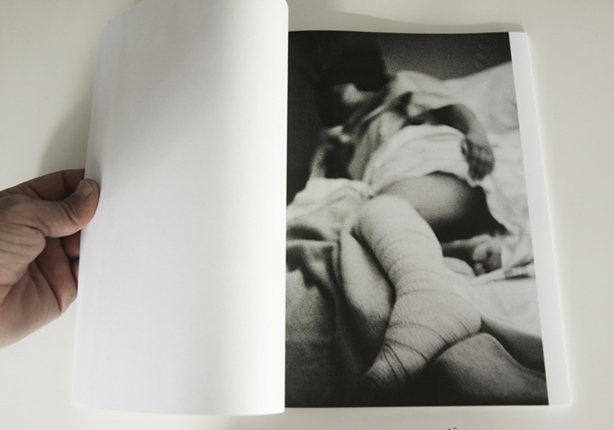 Text and visual language are put in line of each other. 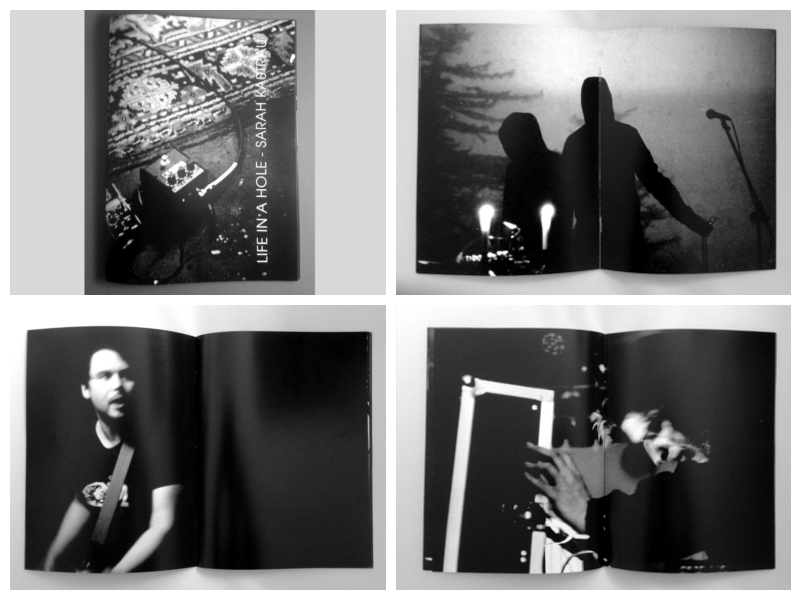 They offer reflections on moments from the past and the present, which show a mixture of instantaneous joy and sorrow." "Vienna based photographer Petra Rautenstrauch slips into the role of her Alter Ego, Peggy Poetry, and takes you to a fantastic world full of special moments. A place where the magic of mundane life is celebrated and the transiency of a moment, therefore its significance, is put into focus. The circus as a space where suspense, humor and eroticism converge serves as an ideal venue for Peggy Poetry’s emotional capers." "(Not) Just Another Show" shows the interaction between bands and their audience. It’s about the dynamics of a gig in a small place: the boundary between concertgoers and musicians is thin, sometimes barely visible. Anything could happen. Or not. each copy comes with additional A3 xerox copy from an original print and an handmade bookmark. "True solitude is a place that lives for himself, and for you do not have any trace voice, and where therefore the stranger is you." 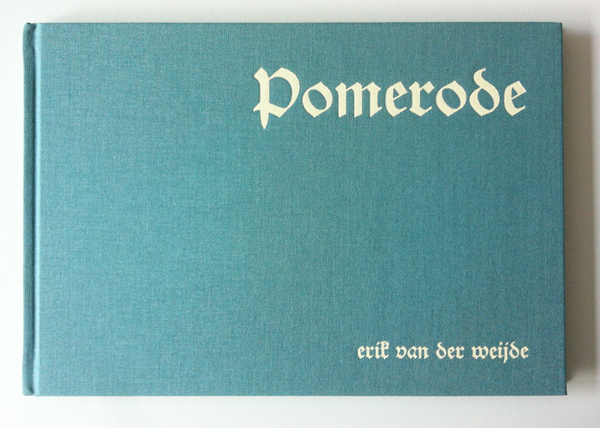 "Pomerode is a Brazilian municipality in the state of Santa Catarina, in southern Brazil. It is known as the most german city in Brazil, because the majority of its inhabitants are of German descent." "I've taken High school girl, who came to my studio after the school. High school girl has something strength and fascination. That power is only high school girl uniform has? Is there any difference between the high school girl uniform when worn by actual students and alumnae? There is something strength and fascination only when the actual students wore the uniforms." 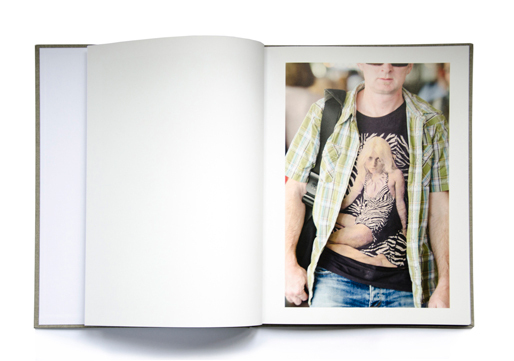 "In this large format book of 26 photographs, Yanni Florence identifies and documents the iterations of a specific and highly charged genre of t-shirts. 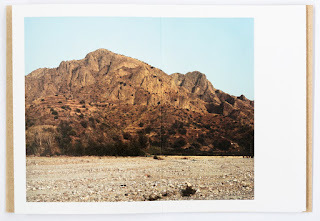 The photographs position fashion as a public and political statement made by the wearer either consciously or otherwise. 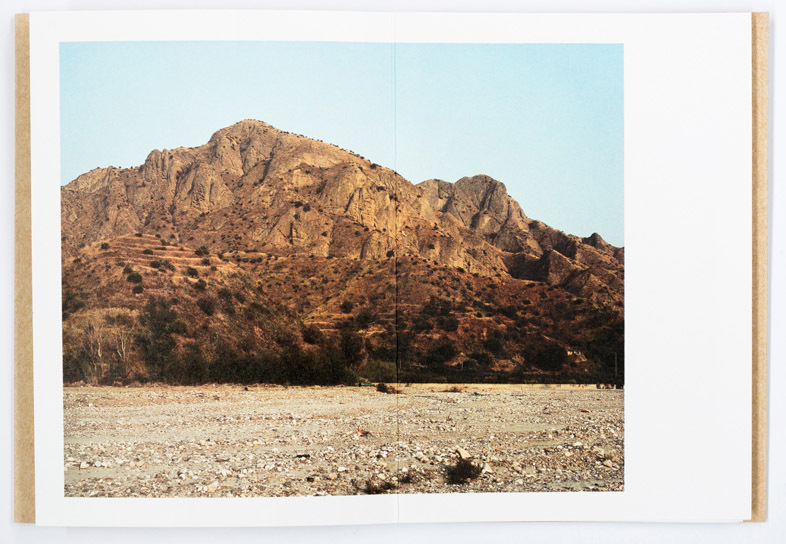 They are significant photographs in that they capture a change in public acceptance, or is it obliviousness?" 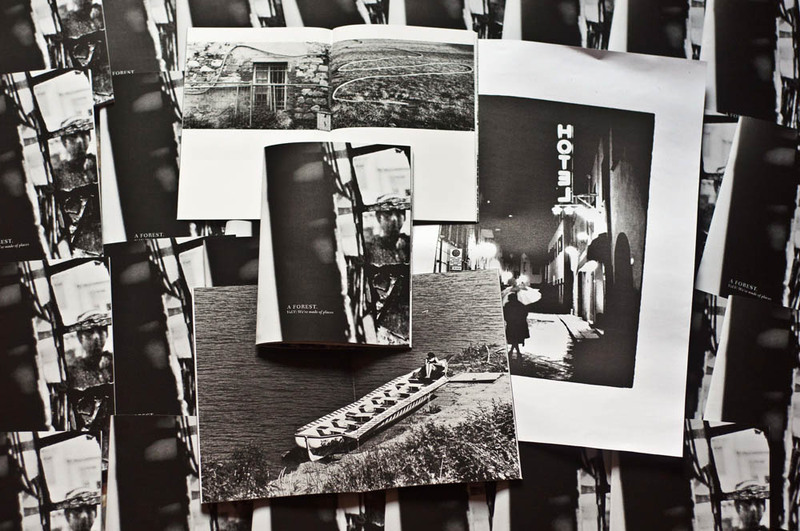 28 pages, 15x20 cm, 5.91x7.87"
"Calabria Upon Return by Alessandra Kila is a collection of poetic impressions in photographs and words gathered over a number of years on visits to the artists home-region of Calabria in southern Italy. 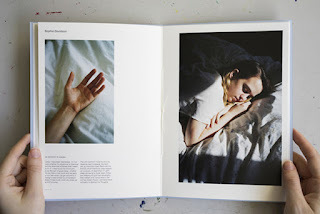 The unbound book is held together, physically and metaphorically, by a poem that weaves through Alessandra’s melancholy portraits of friends and strangers and photographs of dry, sun drenched landscapes."